Henry David Thoreau’s Walden is all about the simple joys of being outside, learning about yourself, and ignoring the pressures and distractions of society in favor of a more pure and true form of freedom. So, naturally, developers at the University Of Southern California’s Game Innovation Lab have turned it into a video game, meaning you can experience Thoreau’s transcendentalist adventure on your huge, neon-colored, liquid-cooled gaming rig right alongside the latest Battlefield sequel\ just as he intended. Shocked monocle-dropping aside, the game actually seems like a clever approach to the text. As The Verge explains, players take control of Thoreau as he first decides to live in the forest, and from there it becomes what people refer to as a “walking simulator.” That means you basically just explore the game’s virtual version of Walden pond and live out the story of the book—or divert from the book to tell your own story about a Thoreau who dies in prison or embraces his life as a celebrity author and tries to get public speaking gigs. Along the way, you’ll read snippets of Thoreau’s book, so you could probably tell people you’ve read Walden once you beat the game. 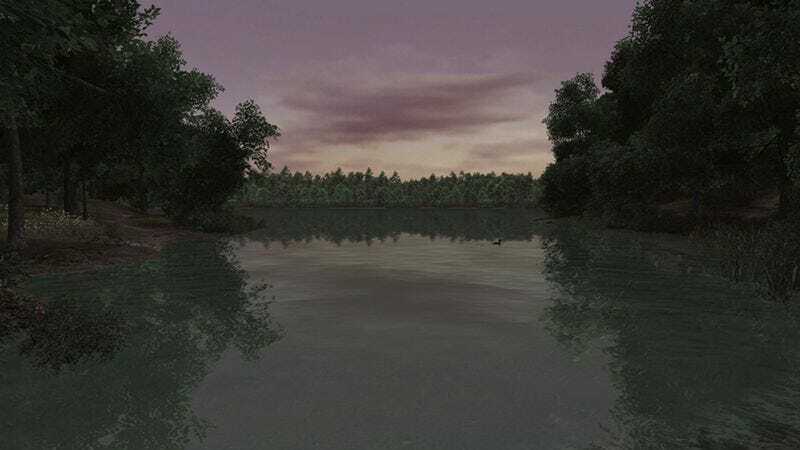 The alpha version of Walden, A Game is available at this link for $18.45, and you can play it on both PC and Mac.